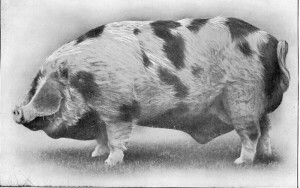 The year 2013 marked the centenary of the establishment of the Gloucestershire Old Spots Breed Society and thus the commencement of pedigree breeding. 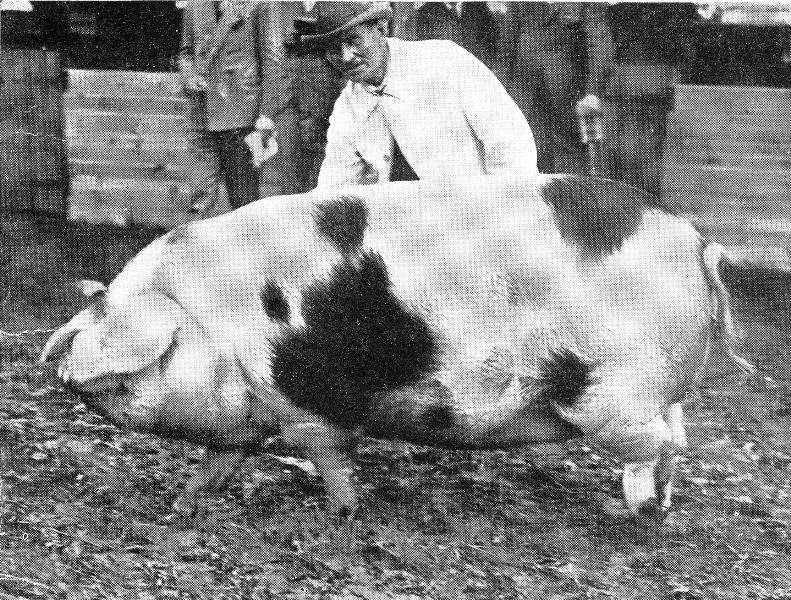 If it wasn’t for the politicians – especially Lloyd George – the breeders themselves would seemingly have been happy to carry on without pedigree status but new laws were enacted at this time just over a century ago limiting the use of boars, bulls, stallions and rams to those that passed inspection by the local Livestock Officer and which were also pedigree. So a breed society was necessary. The Livestock Officer for Bristol area was Mr W Nixon and he worked long and hard to persuade the local farmers to take the issue seriously. They eventually agreed and in 1913 established the breed society and set about inspecting spotted pigs in the area to find a nucleus that were considered absolutely true to type to include in Volume 1 of the herd book, published in 1915. 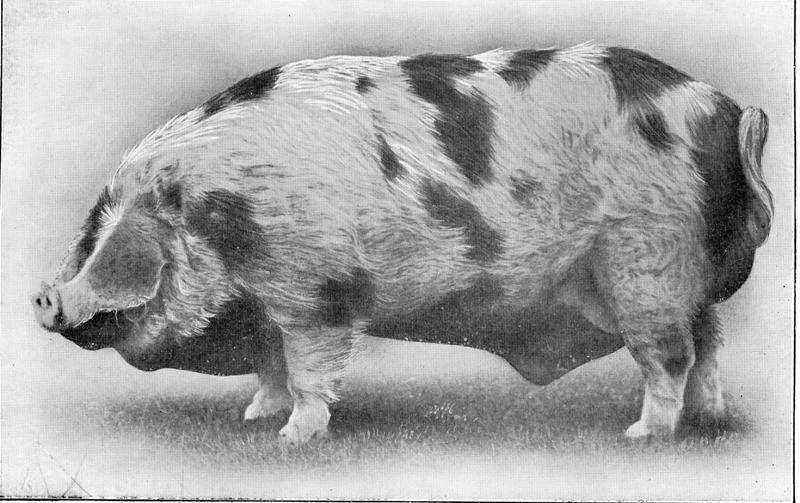 The reason that the word ‘Old’ was part of the breed name was that this type of pig had been known in the Berkeley Vale to the south and east of the river Severn between Gloucester and Bristol, ‘since time immemorial’. 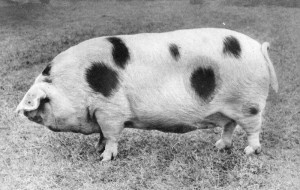 The founding Chairman of the society wrote that he had spoken to locals who could remember back over 50 years and who swore that the spotted pig of Gloucestershire was around even then. The First Selection, L-R Harry Nichols of Kingscote, James Peter of Berkeley (Chairman) and W Nixon, Livestock Officer for Province of Bristol, selecting pigs for the first herdbook. © Copyright, please contact us if you wish to use this photo. 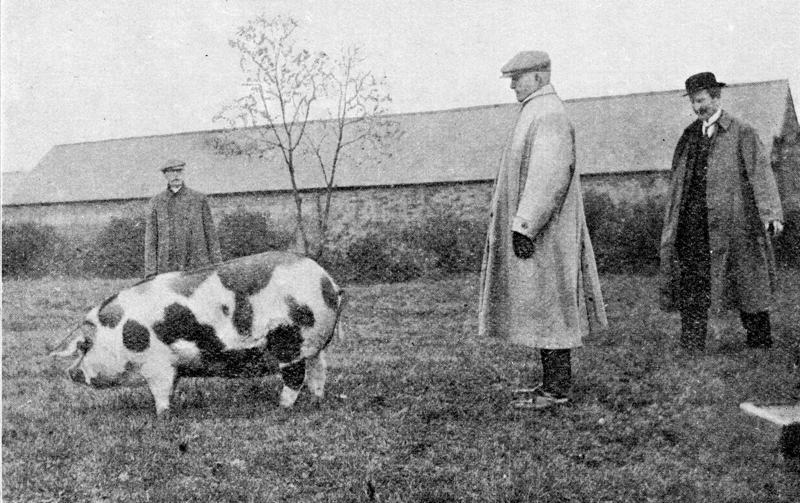 The fledgling society attracted much publicity and despite the onset of the Great War, the GOS pig prospered and went from strength to strength. Once the war was over, the breed really took off and for a few years in the early 1920s, the GOS was the most populous pig breed in the country. 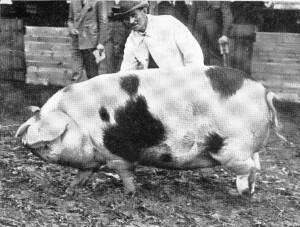 In the 1921 herd book, Volume 7, more than 1400 boars and 5400 sows were registered and the summit had been reached. Never again would the GOS breed be so dominant and numbers fell heavily over the next few years. 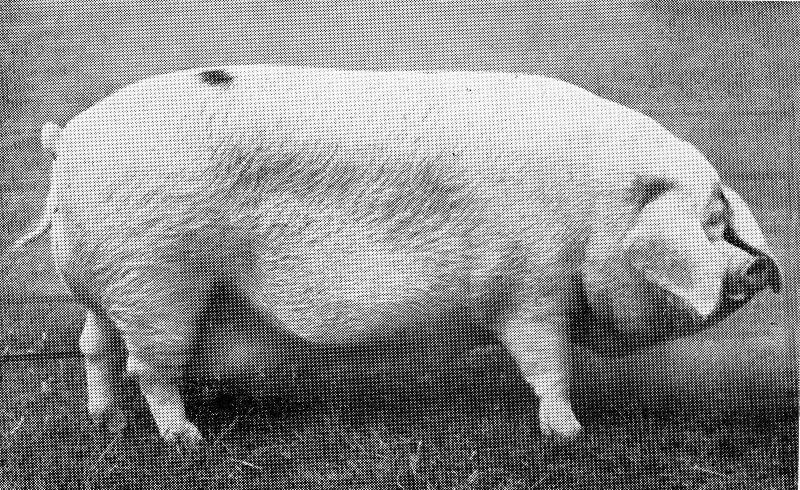 Nothing about the breed itself had changed but unscrupulous breeders were breeding from pigs that were poor quality just to meet the demand and buyers were not to be fooled for long. From then on the GOS became a minority breed and remained so for the rest of its existence. At times it came close to joining breeds such as the Cumberland and the Lincolnshire Curly Coat in extinction but somehow managed to survive against all the odds. When the Rare Breeds Survival Trust (RBST) was formed in 1973, there were somewhere around 100-120 registered sows in existence in the world. Around 80% of those were in one herd in Worcestershire with the prefixes, Ribbesford and Horsehill. 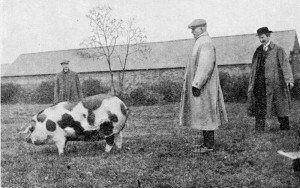 That herd was owned by George Styles, the grandfather of the modern breed. Look at the online pedigrees of any GOS pig on the BPA website and you will find George’s pigs somewhere in the make-up of every existing GOS. If George had listened to his detractors and switched to Large Whites or Landrace, or had succumbed to Foot & Mouth or Swine Fever when the whole herd would have been compulsorily slaughtered, then the GOS would have become extinct. But George was, luckily, a cussed soul and stuck with his beloved Gloucestershire Old Spots through thick and thin for decades. Because he was aware of the parlous state of the breed, he sought advice and introduced the Cyclic Breeding System into his herd and the breed to minimise the risks of inbreeding. 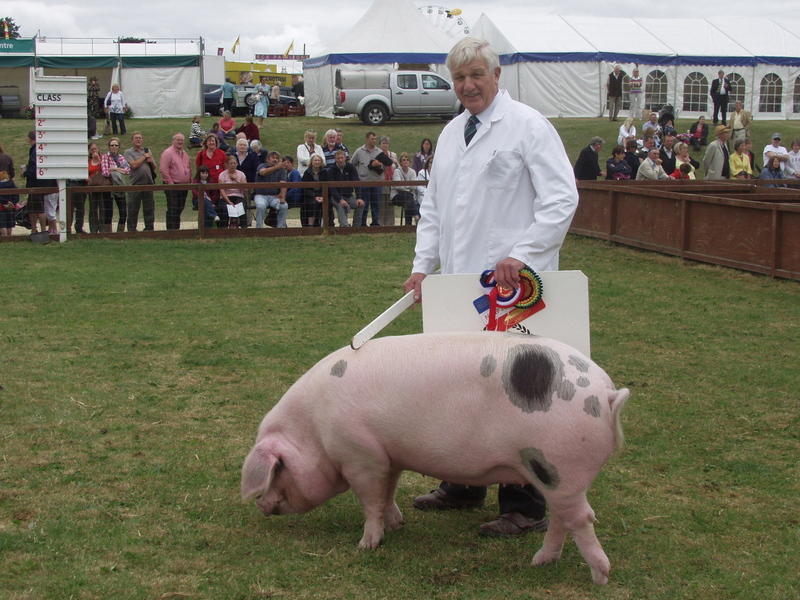 The RBST created interest in all the breeds under its wing and soon newcomers – many of them hobby farmers – came along with the sole aim of keeping one or more breeds to help them to survive. To begin with, commercial farmers had little time for such individuals but they maintained their interests and gradually numbers of most rare breeds stabilised and even increased slightly. Numbers didn’t take off until a campaign was launched promoting the superior eating qualities of the different rare breeds and the GOS got a real boost from this. Chefs and food writers soon realised that not all meat was the same and started using and endorsing pork and bacon from GOS pigs. There were others whose influence is worth recording. The Cullimore family from Berkeley appeared in Vol.2 of the Herd Book and maintained their Walgaston herd right through to the 1990s. Stan Cullimore began the herd during World War 1 and his son, Gordon, maintained a fine prize-winning herd until his retirement. Jim Sherriff was the leading breeder for many years, commencing in the 1920s and keeping going with his Nashes herd until the early 1970s. 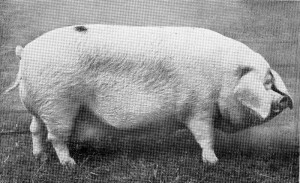 Unlike our other leading breeders, he was not located in the home county or its neighbours but farmed near St Albans in Hertfordshire. 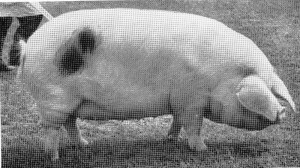 His aim was to make the GOS a commercial breed with a more widespread appeal and as well as winning every major show in the country, he went further a won top prizes at many of the fatstock shows including the famous Smithfield Show in London. Jim was also a great supporter of Suffolk breeds and had an important herd of Red Poll cattle and was a leading authority on Suffolk Punch horses. J0hn Green kept the Chedworth herd of GOS at his farm in Gloucestershire between the 1930s and the 1960s. A son-in-law of a former Chairman of the GOS society, Lt. Colonel Henry Cecil Elwes who presented the magnificent Elwes Memorial Cup still competed for annually in the GOS Champion of Champions competition, John Green maintained the breed during difficult times. In the second World War, the Breed Society’s offices in Bristol were bombed and all records lost. He successfully negotiated the breed’s subsequent move into the National Pig Breeders’ Association to maintain pedigree status. 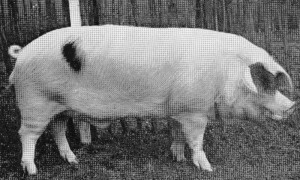 He subsequently became Chairman of that organisation during which time he successfully introduced the Landrace pig into the UK. In recent times, the most notable breeders have been Dave Overton’s Exfold Herd, Andrew Robinson’s Foston Herd and Ray & Judith Sims’ Winterwood Herd. All have, at different times, dominated the show ring and have greatly influenced the type of pigs being bred in modern times. So a century has passed since the GOS breed was first recorded as pedigree and much has happened since then. That the breed is still going is testament to the dedication of those above and many others over the last 100 years. 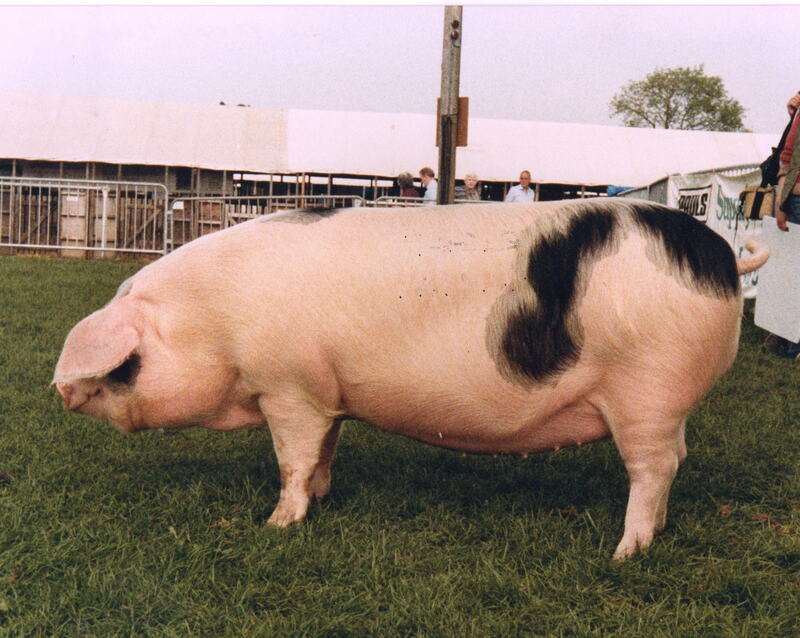 In relative terms, the breed is quite well established at the present time but numbers of both pigs and breeders have undoubtedly declined since the last BPA Bloodline Survey and with fewer than 1,000 registered sows, the breed is still a long way from absolute security.